The school hours for the 17-18 school year have changed. We have added 10 minutes to the school day to allow for three full teacher training days during the school year. Students will also have a free breakfast in their classroom each day. The first bell allowing students to enter the building will ring at 8:30 am. The second bell signaling the official start of the day will ring at 8:45 am. Students will be dismissed at 3:40 pm every day except for Wednesday. Students will be dismissed every Wednesday at 2:10 pm. Please note: Students will not be allowed in the building until 8:30, and there is no supervision outside before 8:30. Please plan for your child to arrive to school between 8:30 and 8:40. If you need assistance with child care, please visit the district website for the Metro Kids Care registration information. Online Registration begins Monday, July 17. You will receive an email with information to complete the process for the 17-18 school year. All parents/guardians will need to log into their Parent Portal account on Infinite Campus. You can access the link on the dmschools.org website. Please contact the office at 242-8442 if you need assistance. We are looking forward to seeing you all this fall! All communication will be sent directly to your email through Infinite Campus. Please make sure we have an updated email in the system. If you need assistance updating it, let us know! 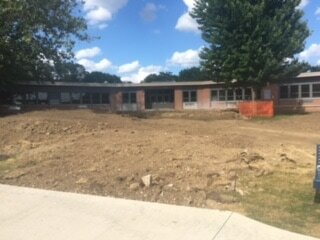 Our summer construction project is underway! 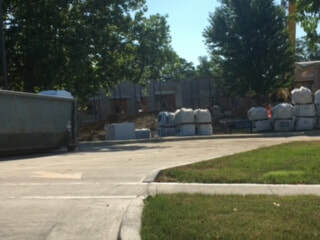 We are looking forward to a new office with a secure entrance and conference room. Other exciting improvements include remodeled student bathrooms, hallway floors, and a brand new gymnasium. 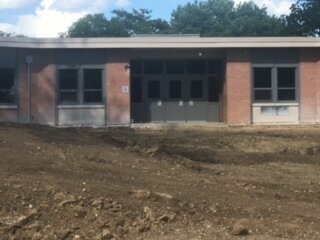 The office, bathrooms and hallways will be ready for us in August. 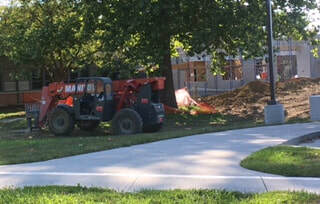 The new gym will not be complete until November. I will post additional updates and pictures throughout the summer. Please visit regularly for information and news from the office at Wright!